Discussion in 'SHADOWEAGLE RELEASES' started by ShadowEagle, Nov 10, 2018.
! The game is already patched to v65.7a !
! This DLC Edition does contain nearly all available DLCs for Train Simulator !
! List of all included routes and trains as screenshots ! Backup crack archive does also exist (In case that your antivirus deleted the crack.). Checksums.md5 to verify file integrity and authenticity. For example the tool "HashCheck Shell Extension" is a good choice for doing that. The game is already patched to v65.7a! This DLC Edition does contain nearly all available DLCs for Train Simulator! Checksums.md5 to verify file integrity and authenticity. 1. Extract the archive using WinRAR 5.21 / 7-Zip 15.12 or recent.
! Hint: Deactivate your anti virus software ! 3. Choose directory and install the game. anti virus message is a false positive! run or you can not save. Execute the Setup.exe and find your existing Train Simulator 2019 dir. 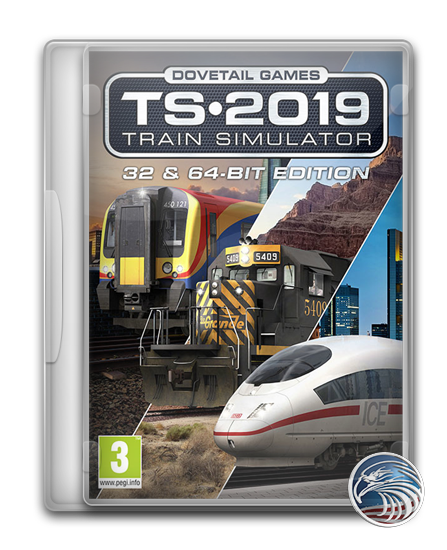 This packs will work with all scene/p2p releases but requires Train Simulator 2019 v65.7a! residents, picpar and Kurtzi like this. Thanks a lot for so fast reload ! Moin danke für den Upload . Irgendwie funktioniert die komplette Frankfurter Ubahn nicht der Fahrtrichtungswender lässt sich nicht umstellen . Das Fahrzeug kann man an sich betriebsbereit machen aber ich kann weder Gas geben noch den Richtungswender einstellen. Das kann sein. TS ist seit Jahren sehr buggy und solche Fehler passieren selbst bei einer gekauften Version. Man muss hier einfach ein paar Abstriche machen. Achso kein Problem ich glaube es gab vor kurzem ein Update da diese Strecke und der Triebwagen vorher noch funktionierten aber danke für deine Antwort. Hallo Leute, bei mir fehlt der Informator für die U Bahn Frankfurt. Jemand eine Idee?